On that win: "Yeah, it's a pretty cool feeling. 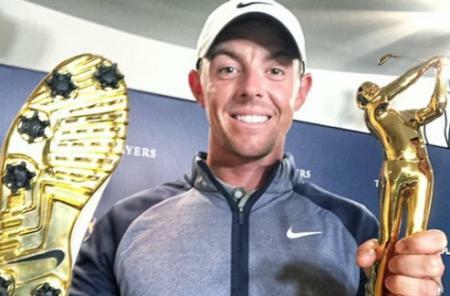 Hasn't quite sunk in yet, but I last won on the LET, the European Tour, like two years ago. Had that dry like patch for a few years. Feels good now to get a win." In the annoyingly watchable singing contest X-Factor, every show has a sob story where they focus in on an incredibly timid contestant. Said contestant is either a) there in memory of someone b) doing it to help their battling single parent or c) so incredibly shy that the thought of trooping them out in front of a judging panel is sickeningly unpalatable. The poor tyke limps on to stage, whispers their name and then belts out a song with such power and aplomb that the whole place erupts in tears and applause. A hero is instantly born. 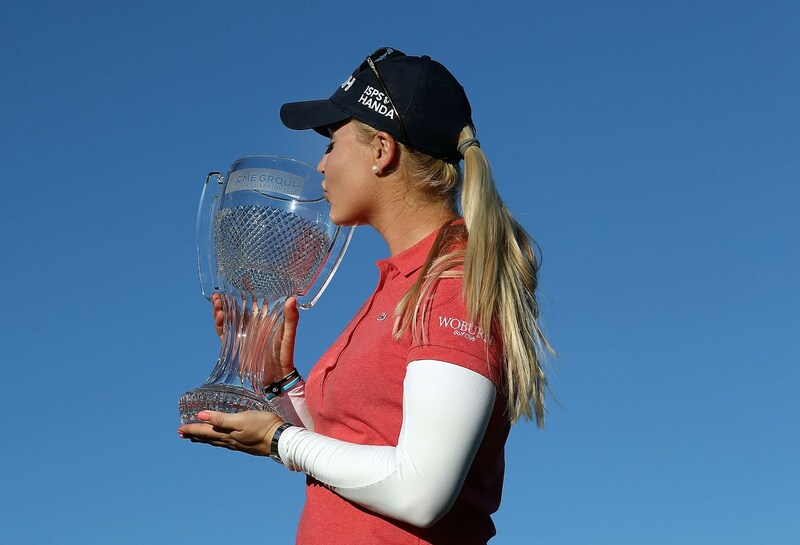 If golf had an X-Factor, Charley Hull would be that hero. Back in August 2013 she boarded a plane to Colorado intended for the Solheim Cup. She had just elbowed Laura Davies off the team as the wildcard choice, a feat many thought impossible. There was a tiny buzz about her from those ‘in the know’ but, sadly, in female golf that is a very, very small group. 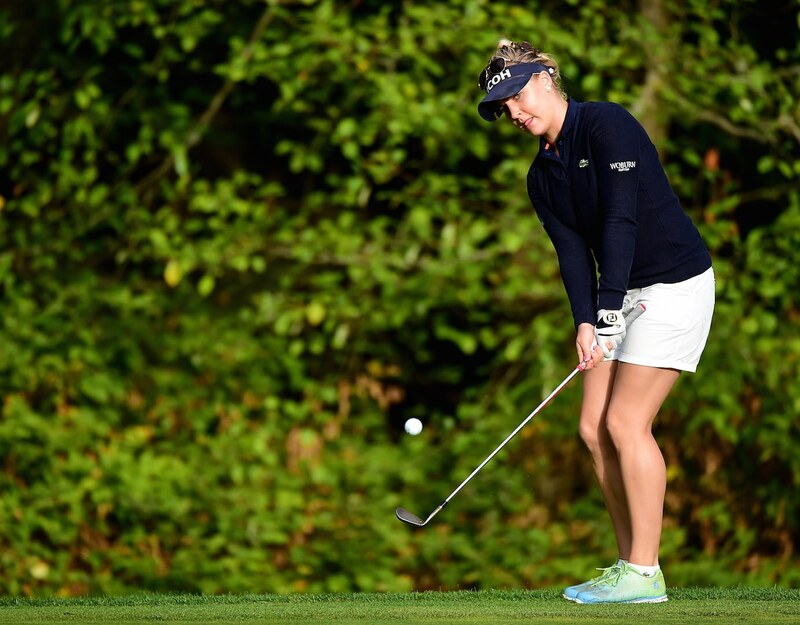 In five starts on the Ladies European Tour in her debut year, Charley finished second five times. With a ferocious lash of both her driver and blonde ponytail, Charley demonstrated that she was not only ready for the big events; she was thriving off them. Amid her smiley naivety there was a worry that someone so young could equally prove a sacrificial lamb as much a source of perky enthusiasm. The Independent’s Kevin Garside commented that Charley “looks like a babysitter who has inadvertently wandered into the wrong space,” not in any sense of malice, but from knowing that the Solheim Cup is not a place for the weak-hearted. And so it proved. Bitter arguments erupted all over the event, fuelled by some dodgy rule decisions and waspish, hard-faced attitudes. On Saturday afternoon, Charley and her fellow rookie, Jodi Ewart Shadoff found themselves in the middle of one such row. With only a point separating the two teams, Hull and Ewart led the way against poster girl and former US Open champion Paula Creamer and America's own super teen, 18-year-old Lexi Thompson. On the seventh hole, Europe were in for three and Creamer and Thompson still had two chances to get a half. 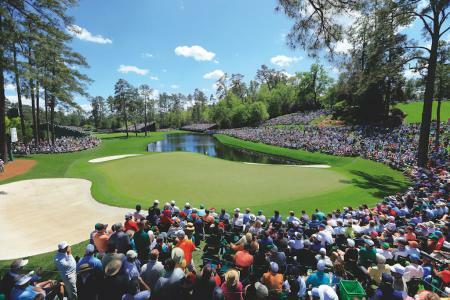 Creamer lined up a putt intending to show her team-mate the line for her more makeable birdie putt, but Europe’s vice-captain Annika Sorenstam advised that they concede the putt and not allow them the opportunity. Vice-captains are not allowed to advise and it kicked off. Thompson eventually holed the putt to a vulgar scene of fist-pumping and screaming that had horrible echoes of Brookline in ’99. Throughout all of this, Charley could be seen playing with a tee peg. She then sauntered to the next tee and blasted her tee shot down the middle. To paraphrase Catherine Tate’s rebellious teenage character, she appeared ‘not bovvvered’. I got to speak with Charley shortly after she touched down back it the UK, and it was this attitude that stood out to me most. I’ve had the opportunity to interview quite a lot of golfers over the last decade but recall very few using the words ‘cool’, ‘wicked’ or ‘I don’t know’ as their answers. It’s been quite a wild fortnight. What was the last normal day you can remember? How do you plan to chill out? Sweet! Free haircuts. Actually, we’ve done a piece on weird hairstyles this month. Ever fancied doing anything adventurous? What do you do with your mates? So who’s your team then? What did you make of the Suarez biting fiasco? And don't get me started on Liverpool! And then it’s back to the day job. Have you managed to reflect on the mental fortnight you’ve just had at the Solheim Cup? “Well, this is what I’ve always wanted to be and I don’t want to keep looking back at the past thinking about all the things I’ve done. It’s all about the next challenge for me. What’s the point about thinking about the past. It’s done and dusted. It was only reflecting on it afterwards that I was reminded I was talking to a 17-year-old girl. She was so refreshing simple and direct. And she ‘doesn’t know’ about a whole set of emotions or scenarios yet, because she hasn’t managed to experience them. In researching this article it started to stand out more and more to me. She specifically requested no corporate deals for her first year because she didn’t want those commitments to get in the way of her playing golf. She used to watch short-game videos of Seve and still imagines ‘what would Seve do’? when she gets behind a tree. She practices with an old Mizuno 1-iron “which is like a butter knife,” just to be creative. She wore a New York Yankees hat at the Canadian Open because “all my friends wear them and it’s really comfortable on my head.” And she treated herself to a Mulberry bag, but only after she earned the money to properly afford it. She is, quite simply, out there having a good time and doing what she loves. 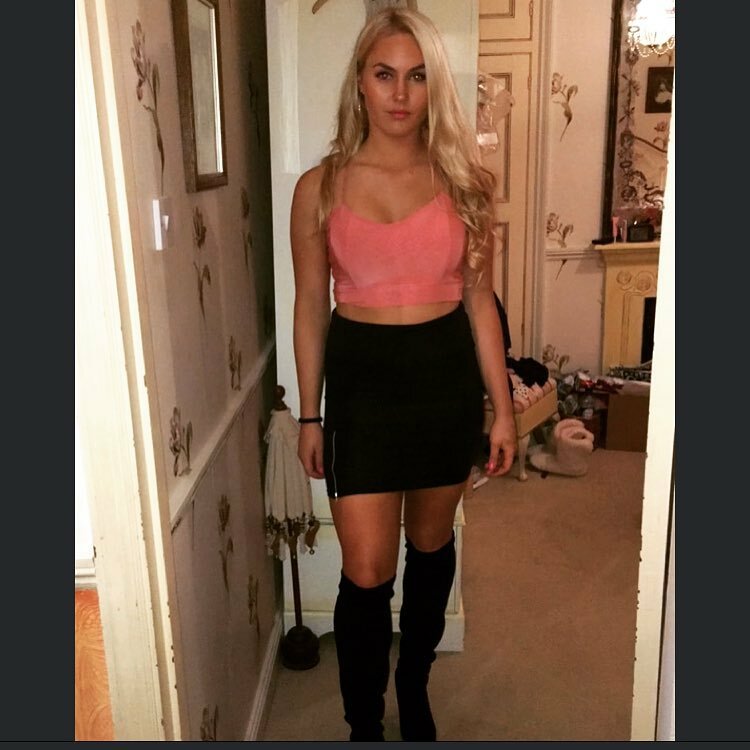 Charley was taken out of school and put on a special home tuition programme for promising young sport stars when she was 13. It was clear to her father, David, that she possessed something special, but it also seems they understood it would only continue so long as Charley enjoyed it. One particular story from the Solheim Cup sums this up. In the final singles on Sunday, Charley got her wish of facing Paula Creamer head-to-head. And with the same collected calmness, she walloped her 5&4, then asked for her autograph. Who’s that girl? She’s just a normal girl who’s pretty good at making birdies. Just let her get on with it. In 2014 Charley secured her first LET win, the Lalla Meryem Cup in Morocco. She did it in miraculous style. Trailing by five shots going into the final round, Charley shot a bogey-free 62 to force a play off with overnight leader Gladys Nocera. Steady lads, that's some expensive cargo there..
Nocera was quickly dispatched at the first sudden death hole by a Charley Hull birdie. Charley was still four days shy of her 18th birthday. By the end of the season, Charley had won the LET Order Of Merit. The morning resumption of Saturday's four balls was shrouded in controversy as Charley Hull and Suzann Pettersen came from one down with three to play against Alison Lee and Brittany Lincicome to win the match one up. Then everyone went berserk and lots of people started crying. Both Hull and Lee (who was playing in her first Solheim Cup), had to be consoled by team officials amid claims Europe had broken the game's moral code by not conceding a short putt. Basically what happened was Lee missed a short putt on 17, then picked her ball up assuming it had ben conceded after Charley Hull had started walking to the next tee, before Pettersen claimed the hole hadn’t been conceded. The ref intervened and awarded Europe the hole after the controversial incident. "Why can't we all learn to just get along?..." Laura Davies stated: “I'm Disgusted," she cried. 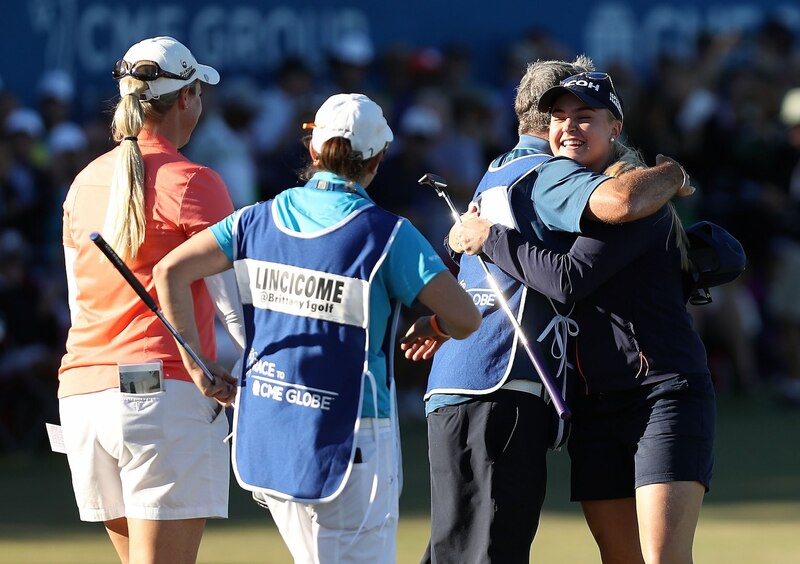 "We have got our best player, Charley Hull, who has just won a point and she is in floods of tears. That tells you the wrong thing was done. 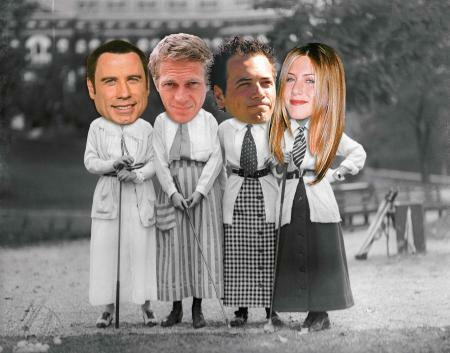 "How Suzann can justify that I will never, ever know. We are all fierce competitors but, ultimately, it's unfair. We have to play week in, week out together and you do not do something like that to a fellow pro. The unfortunate incident was dubbed GimmeGate (by us, actually – Ed). Anyway, enough of that gubbins... how good is Charley right now? 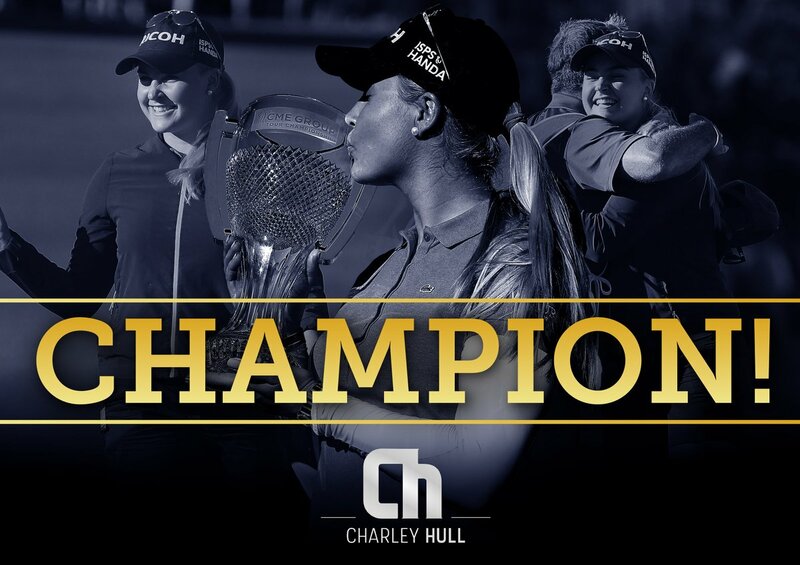 Sitting at 23rd in the Women's World Rankings, Charley is getitng ever closer to her first major, finishing Tied 6th in the 2018 Women's PGA Championship and 10th in the same year's US Open. It is just a matter when – not if – the baby sitter owns the house, the neighbour's house and the whole damn city.